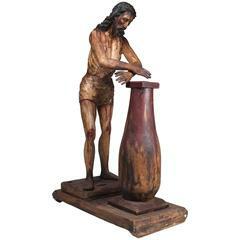 Carved wood with polychrome. 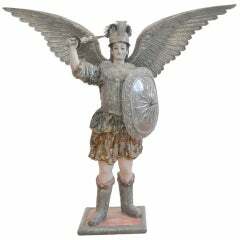 Origin: Germany or possibly Northern Italy. 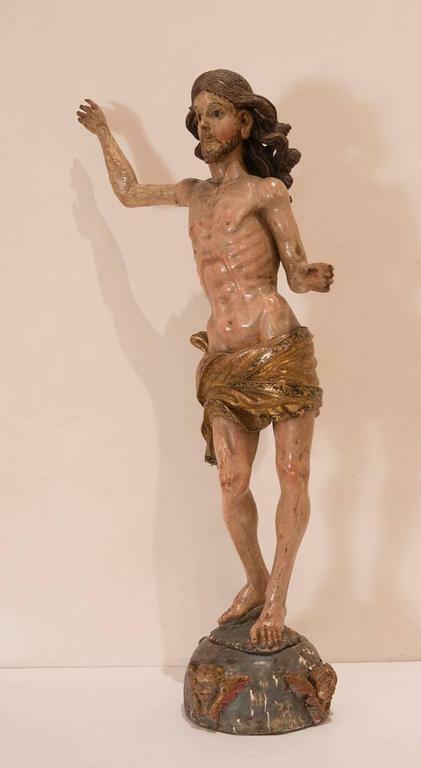 Santiago Matamoros sculpture. 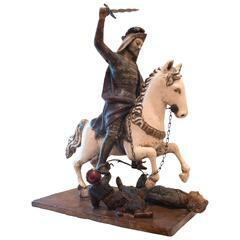 Provenance: Private collection, Amarillo, TX. 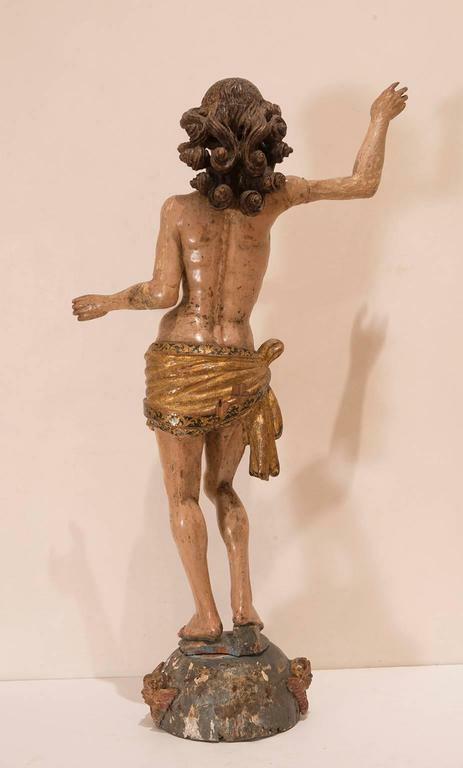 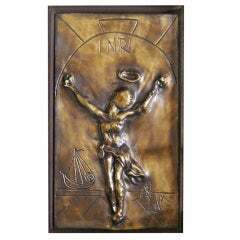 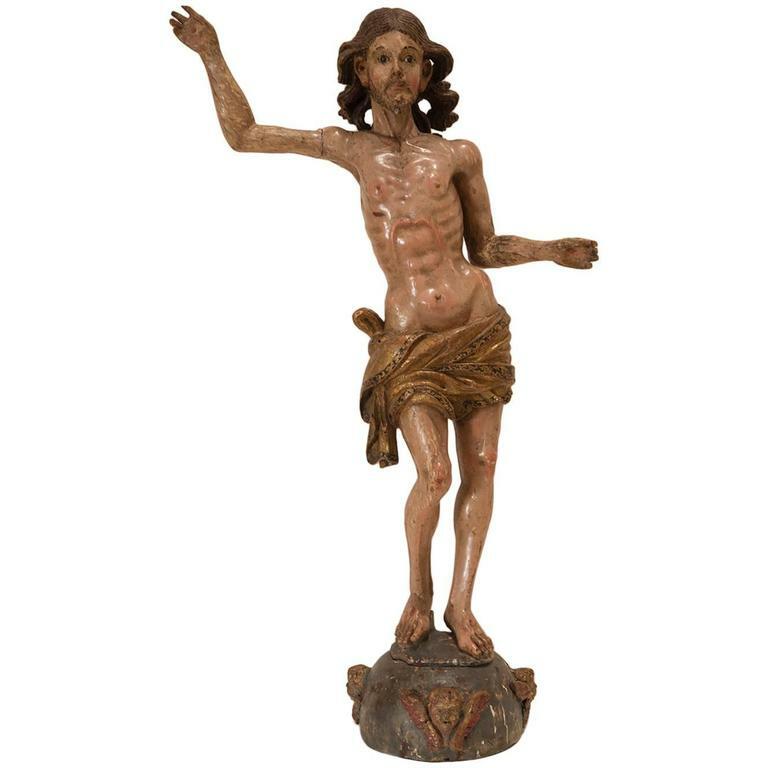 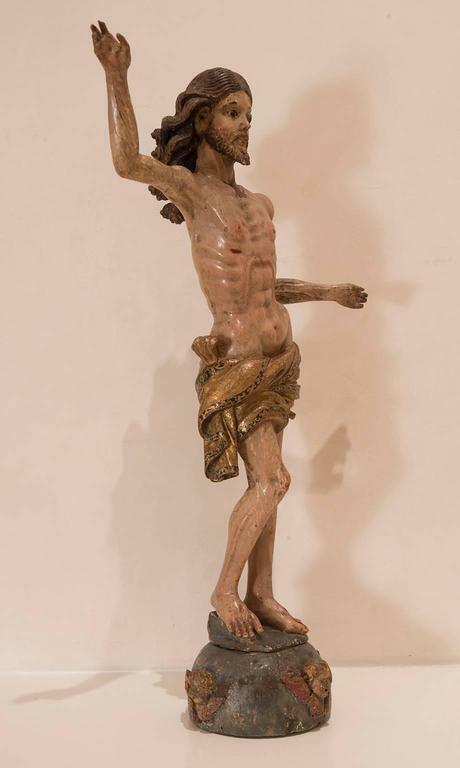 Baroque painted sculpture of crucified Jesus with gilt loincloth.